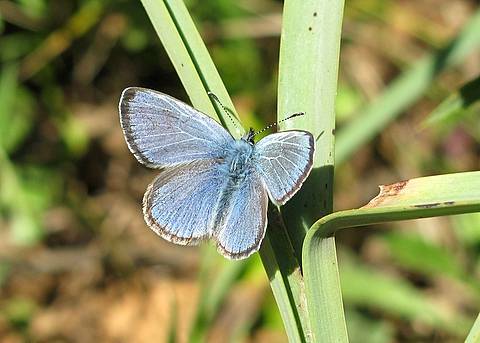 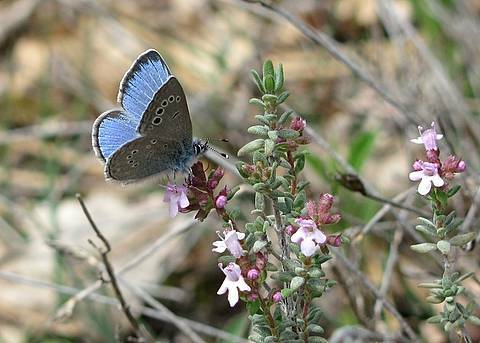 The Black-eyed Blue is a springtime butterfly of south-western Europe. 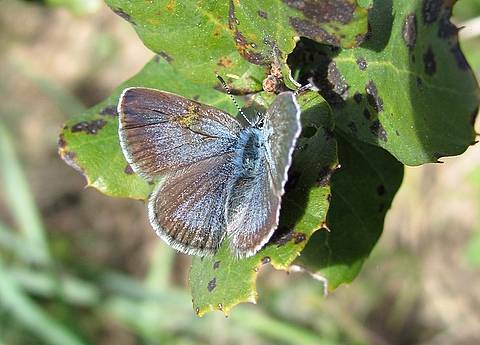 It often flies with its relative Glaucopsyche alexis with which it is sometimes compared though really the two species are very distinctive. 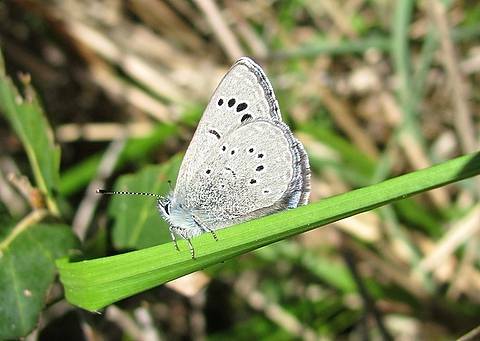 Melanops is noticeably smaller and the blue tone of the male upperside less intense and somewhat paler and more 'steely'. 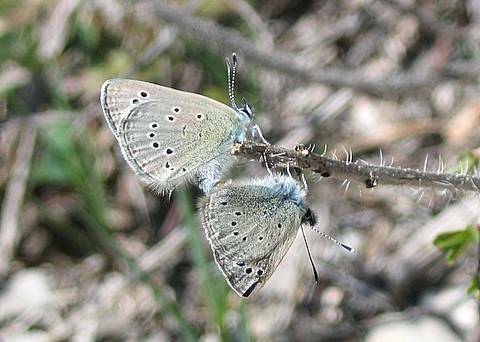 The undersides are thoroughly separable. 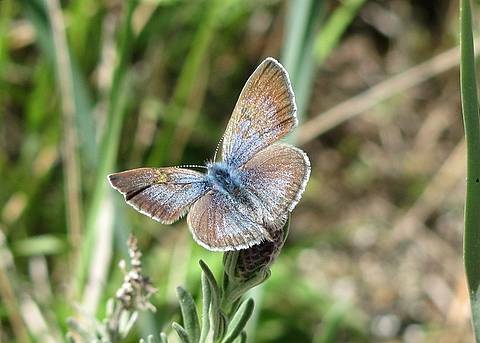 Melanops has some faint marginal markings which are wholly absent in alexis, which has a very smooth pale grey ground colour and a very conspicuous blue or blue-green basal flush on the hindwing. 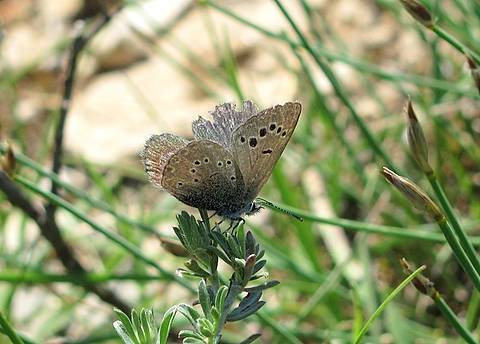 As they descend from the costa, the forewing spots veer rather unusually outwards towards the outer margin in alexis whereas melanops usually has a more typical inward curve. 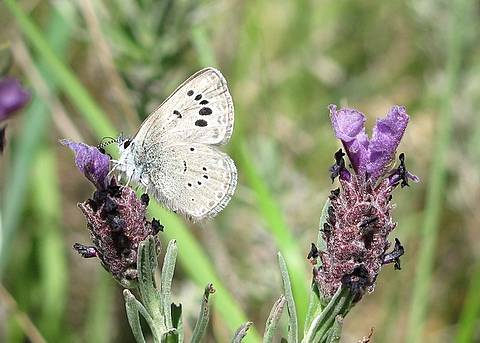 These spots are conspicuously large in both species though more strikingly so on melanops.